EFM Aspen is the ultra-sleek, ultra-protective case solution that performs even in extreme conditions. 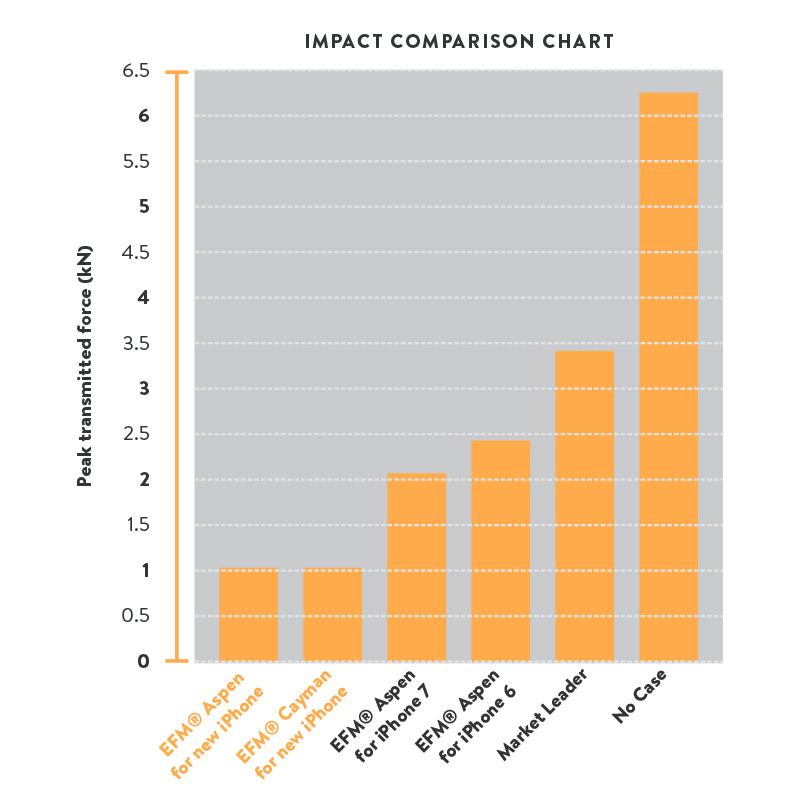 By utilising D3O® - the revolutionary impact protection material globally recognised for its innovative and superior impact resistance qualities – and state of the art manufacturing techniques, Aspen Case Armour outperforms even market leading competitors. 190% GREATER IMPACT RESISTANCE - lower impact force measurement (kn) means higher impact rating.Click for impact rating details. Experience our slimmest, toughest Case Armour range EVER.